The Memorial Gardens Building may be saved. Today’s OC Fair Board meeting found unanimous support for moving the building somewhere else on the Event Center’s property. My father-in-law was a World War II veteran. My folks lived through Nazi occupation in the Netherlands. To say that I’m proud of our veterans is an understatement. Maintaining the historical landmark at the OC Fair is great news. The Daily Pilot provided a story over the Independence Day weekend on the subject and it is the first piece below. The second piece is also from this weekend, found in the OC Register, and it is an update on the pension payment discussion and preservation of capital. My concern is that I do not want to be double-taxed. I’m sure we’ll see more on this topic in the near future. Moorlach says it would be a shame to lose the nearly 70-year-old building to expand the Pacific Amphitheatre. "I’m concerned about losing a key building from an incredible legacy here in Costa Mesa," Moorlach said. "It has been moved before," Mansdoerfer said. "We just don’t know if it was once or twice … and we don’t know when it was." 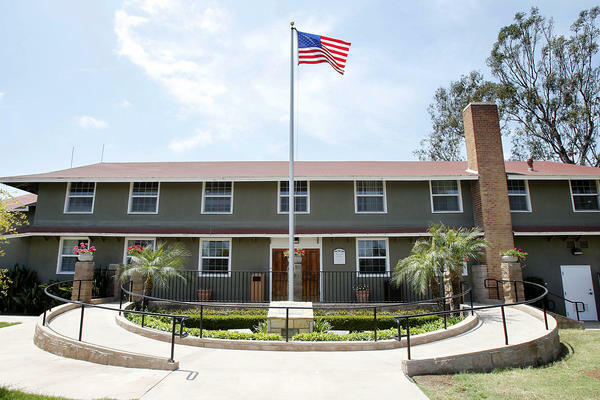 Doing so, though, would change a major part of building’s historical significance, Moorlach said, because it would no longer be on or near its original location, the site of the former Santa Ana Army Air Base. The base, at more than 1,300 acres, took up a sizable portion of modern-day Costa Mesa before it was decommissioned in 1946. The fairgrounds, Orange Coast College, Vanguard University and Costa Mesa High School and others use the base’s former land. Nguyen, Spitzer want legal issues resolved before contributing more of their wages to help cut costs. When the Watchdog contacted Supervisors Janet Nguyen and Todd Spitzer last week, we wanted to talk about a new policy that they and their colleagues had quietly approved. The policy authorizes the supervisors to donate part of their salaries back to the county and pay more for their own pensions. The supervisors currently pay less than many county workers. Aside from slightly cutting costs, the donations would make the supervisors’ pensions more like those received by other employees. County labor leaders have long called the current disparity unfair. With Nguyen and Spitzer, we wanted to know their reaction to the new pension policy. Would they donate like Supervisor John Moorlach has pledged or decline this gesture? Neither supervisor responded by our deadline, but this week, both raised legal concerns about the new policy and said they needed further advice on federal tax rules before making a decision. In retrospect, Nguyen and Spitzer said, they didn’t fully understand the policy when they voted June 24 in its favor. The policy had been included in a budget package and quickly approved after no discussion. "I didn’t catch it," Nguyen said. "It was added without us being alerted. We didn’t know. I just looked at it as being part of the budget." Spitzer said he first became aware of the policy when we contacted him. He had mistakenly assumed the proposal would authorize county workers to participate in charitable events. "I didn’t even know what you were talking about," Spitzer said. "I didn’t know this was some new scheme." Both supervisors said county staff should have personally talked to them about the policy before the vote. Staff provided a two-page summary, which clearly described the policy, but it was located deep in a 457-page document about the entire budget package. At Spitzer’s request, County Counsel Nick Chrisos contacted us to apologize about the confusion. Chrisos said he normally briefs the supervisors before significant items reach the board. "Frankly, I just screwed this up," Chrisos said. "I didn’t track on the fact that it would be significant." Since the meeting, only Moorlach has pledged to make the voluntary donations. Two other supervisors – Patricia Bates and Shawn Nelson – have previously declined to receive a pension, so the policy doesn’t apply to them. Moorlach raised no legal concerns while discussing the policy last week. He compared it to a June 2009 policy that authorized the supervisors to cut their own salaries by voluntarily donating 5 percent back to the county. Those cuts were considered a symbolic gesture as the county weathered an economic slump and slashed department budgets. Chrisos similarly cited the June 2009 policy to back up the new contributions but conceded that federal tax laws aren’t his greatest area of strength. He said other attorneys, such as Spitzer, may arrive at different conclusions. Both Nguyen and Spitzer suggested they were interested in donating under the new policy but were hesitant to make that pledge without definitive legal protection. They have asked county lawyers to confirm that the policy complies with federal tax rules for charitable contributions. "I’m definitely up for considering this," Spitzer said. "I just want to see how it’s legal before I end up being fined by the IRS." The unusual approach of cutting pay through donations stems from a 1980 state Supreme Court ruling. The court said elected officials’ benefits couldn’t be reduced during their current terms because their elections had been akin to protected contracts. County officials believe voluntary donations are a sort of loophole around the court ruling because they aren’t technically a forced change in compensation. The county’s annual pension bills depend on a number of factors, including how much its employees contribute from their own salaries. A new policy intended to boost the supervisors’ contributions is related to a chunk of pension bills known as the employee share. Many workers pay this chunk. The supervisors don’t. How much money are we talking about? Last year, county records show, the employee share for three supervisors’ pensions equaled about $50,000. Taxpayers covered that entire amount. Under the new policy, the supervisors may choose to pay the employee share for their own pensions through donations or continue having taxpayers shoulder these costs. One of the financial newsletters that grasped the significance of what Robert Citron was doing back in 1994 was Grant’s Interest Rate Observer. It’s publisher, James Grant, is a scholar on the financial markets and his books are outstanding. He’s also a fantastic speaker and has become a friend. I was interviewed for his treatise, titled “So-called Golden State,” which has a powerful and succinct opening paragraph. It is followed by paragraphs where I was quoted. Reading this sampler will show you why James Grant is so well recognized as a not so subtle prognosticator of the market and why the subscription for his first-class publication is not cheap. Take note, this was written ten years ago. When Wall Street sneezes, California catches cold, the 3,000 miles of intervening land mass notwithstanding. The stock-market bubble inflated the state’s income, and the state inflated its spending. The bear market deflated the income but not the spending. Enterprise staggered under the double blows of overregulation and overinvestment. We thought of California as we opened Monday’s Financial Times to read John Plender’s wonderful analysis of GM’s recent $17.5 billion bond deal. The earth-scraping federal funds rate, writes Plender, only appears to constitute a blessing for the big automaker. While low or zero financing costs have indeed moved the iron, they have also forced a rise in the real burden of GM’s pension liabilities. “Together with a reduction in expected return from plan assets from 10% to 9%,” Plender points out, “it means that the pre-tax cost of pensions is forecast to rise from $1 billion in 2002 to $2.9 billion in 2003. For context, pre-tax income last year was $2.1 billion. Moorlach, for one, believes that ultra-low interest rates will ultimately have the same net deleterious effect on California – they will do more harm to the balance sheet (or to the footnotes to the balance sheet) than good to the income statement. “Ultimately,” is the watchword. For one thing, there would be not meaningful actuarial damage to state and local defined-benefit plans if interest rates bounced right back up again. For another, interest-rate assumptions do not feed so quickly into public-sector pension calculations as they do into private-sector ones. Consider the case of the Orange County Employees Retirement System. In the vanguard of realism concerning interest rates, the Orange County system recently dropped its assumed rate to 7 ½% from 8% (the same rate pertains both to investment returns and the cost of the liabilities). As it made that change, the system also made some other adjustments, including a reduction in the rate of salary growth. The net of this tinkering, relates Keith Bozarth, CEO of the Orange County system, is that a system that had been 85% funded became one that is only 82.5% funded – hardly a crippling revision, but a glimpse of the dislocations that a protracted low-return, low-interest-rate environment could bring. In the Orange County city of Greenville – called Old Newport until 1870 – in a part of the county known as Gospel Swamp because of its rousing religious revivals, the Greenville Country Church was built in 1876. Although it now sits near the city limits of Costa Mesa and Santa Ana, local historians say it’s considered the first Newport church. The original pews and pump organ are still in the small redwood church – the oldest Protestant church still in use in Orange County. A new chapel was built next door in the 1960s. But Sunday school classes and community groups still meet in the original building. Elgin Knott – father of Knott’s Berry Farm founder Walter Knott – was a pastor at the church in the late 1800s. It was owned by the Methodist Conference until 1952 when it was sold for $1,500 to the congregation. The Orange County Business Journal’s “OC Insider” column by Rick Reiff was titled “Trade Pub Says Ueberroth Close to Buying Travel Firm,” but it carried a segment on personalized license plates. Custom tags: Irvine Co.’s Bill Mitchell used to have a license plate that said: XPOSDID (exposed “id”); his current one says: BNPAPA; OC Treasurer John Moorlach’s plate is DULL CPA on an un-dull Avanti.